I’ve partnered with Stonyfield Farm (makers of my favorite yogurt) on the Menu for Change, an exciting program to give power to parents and others concerned about kids to improve the quality of food provided by local schools. Junk food tastes good to many kids. 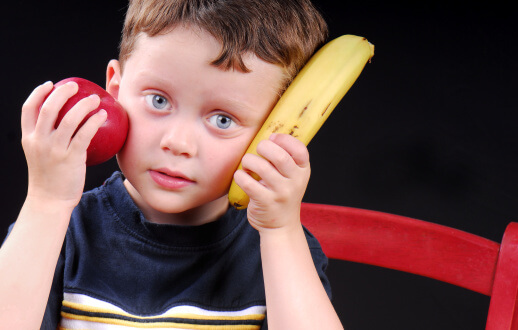 But fresh fruits, vegetables, whole grains, and healthy dairy products can become a scrumptious preference for kids. A Web-based Parent Action Kit is available to help change the way schools approach food.. But parents can also send their kids to school with great lunches right now. That’s where the Organic Lunchbox Challenge comes in. For many children, lunch sets the pattern for the day. Stonyfield Farm and I are advocating for kids by urging parents to include at least one yummy organic food item in their children’s lunch every day. These tasty, healthy foods can be a huge improvement over the artificial, chemical laden, highly processed, high sugar, or high fat foods so many children eat at lunch. Besides making children’s lives better now, these food choices can be used to teach children about nutrition, and to build delicious, healthy habits for a lifetime.